Picking my most favorite goofy character from the vast ranks of anime-dom’s goofy characters is actually quite easy. In this case, it’s no comparison… no, wait, check that: it’s not about comparing them. I just love this character so much anyway, and the word “goofy” fits him like a glove. It’s that simple. I love him, and he’s goofy, which is part of why I love him. What I really like about Luffy… well, ok, I like most everything about him, but to pick a starting point, and one which ties into his goofiness, is simply: his unique perspective. Yeah, getting into trouble is perfectly ordinary for him. In fact, everyone expects it. The same way they expect a man to get struck by lightning when he’s jumping up and down on a mountaintop in the middle of a storm while wearing copper armor and screaming “All gods are idiots.” (thank you, Terry Pratchett) Granted, in Luffy’s case, he’s just that combination of strong and wacky enough to usually survive the trouble he gets into on his own, and for the rest, he has his crew and a number of friends. Whenever Luffy gets out of trouble, be it the momentary crisis of falling from the sky or the miracle of surviving a cataclysm, Luffy laughs. He laughs in pure, childlike joy. In fact, he often laughs like that during trouble anyway. He’s just having a good time, not taking things too seriously, and loving life. He’s not waiting until he’s old and gray to laugh at all the trouble he got into in his wild days as a youth. He laughs now. Always up for a challenge. All the goofiness aside, Luffy can be serious. I believe I have said before how he and his crew tend to be selfish, such as when Luffy charges into trouble, laughing, but that is suspended when they see people’s lives being stepped on. They all have some experience with this, and Luffy is no different. It offends him when he sees others being stripped of their freedom, especially when they haven’t done anything wrong, haven’t hurt anyone. That’s when things get real. He may laugh during trouble anyway, but when facing his enemies, facing the tyrants who step on people like insects, he does not play around. He fights with everything he has, all his passion and love for life, never surrendering. His goofy nature isn’t a facade, but who he truly is and likes to be. It’s his freedom. And he cherishes freedom, all freedom, most dearly. 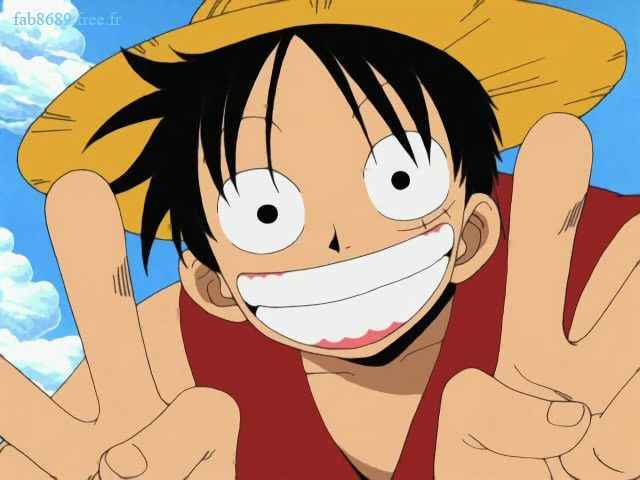 Luffy is goofy, but he is also sincere. 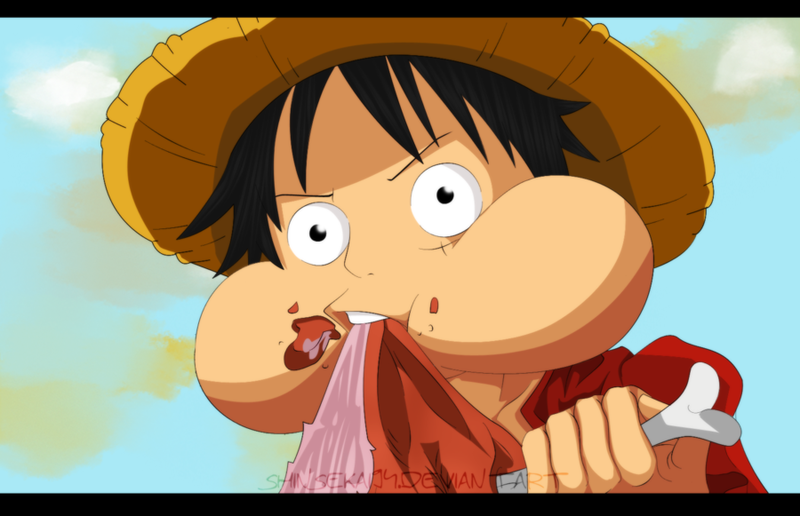 That, I think, is what I like the most about Luffy’s goofiness. I could wax on for pages and pages about how awesome Luffy is and the hilarity of his antics, but that’s really it. He doesn’t pretend. He sees the world his own way and acts accordingly to the best of his knowledge and he follows his own code. He truly means everything he says and does. Though he DOES take his FOOD seriously. Like me. 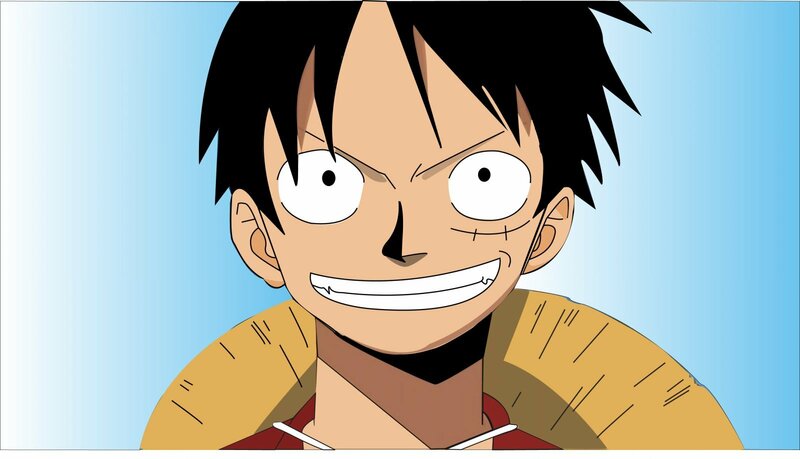 This entry was posted in 30-Day Anime Challenge, Anime and Cartoons, Challenge Accepted and tagged Monkey D. Luffy, One Piece. Bookmark the permalink.